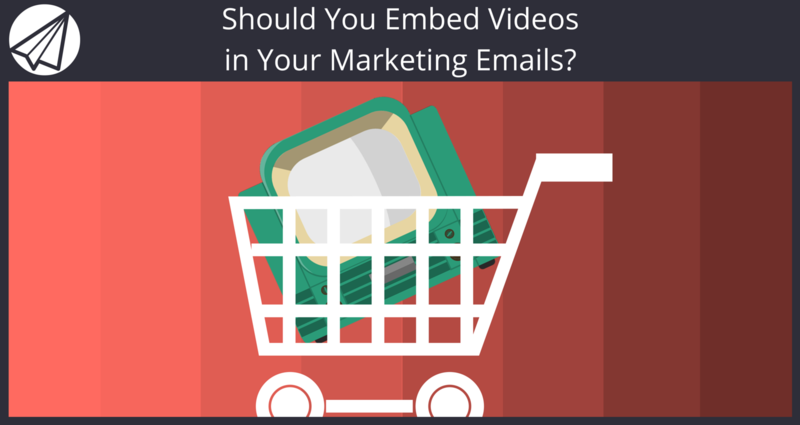 Should You Embed Videos in Your Marketing Emails? There’s no denying it — video is a powerful marketing tool, no matter your goal. Videos can increase conversion rates by 80% on landing pages, while 92% of mobile video consumers share videos with others. That said, the question “Should you embed videos in your marketing emails?” might seem like a no-brainer. But in my experience, many marketers don’t consider the real pros and cons of embedded emails before deciding. According to Cisco, adding the word “Video” in a marketing email can increase open rates by 7-13%. Videos are better than any other content type at capturing your audience’s attention and keeping it. Videos can easily synthesize complex topics, saving time for you and your audience. Embed your video right in your email, and subscribers won’t have to click twice to watch it. Videos in email can lead to a 200-300% increase in CTR. 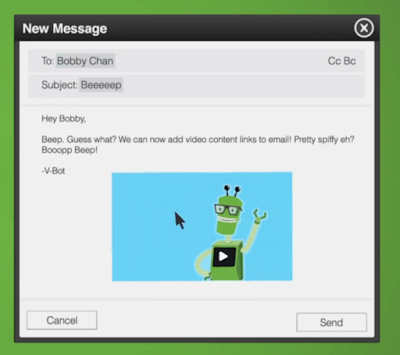 If your emails have embedded videos, there’s a possibility your audience’s email client isn’t compatible. Yes, the list of clients that don’t support embedded video is shorter, but together, they make up 24% of email market share. Would it be worthwhile to alienate that much of your audience? Any type of rich media is bound to make it slower for your email to download and open. This is bad for user experience, and might cause people to delete the email before it loads. And even if they do manage to open the email, maybe the video loads slowly, leaving your subscribers with no content at all. Say your subscriber’s email client was compatible, the video loaded quickly, and they watched it. Now what? They have two options: (1) click through to your landing page and continue down the sales funnel, or (2) close the email and move on with life. If you create a compelling video that really speaks to your audience, you shouldn’t limit its scope to marketing emails. Keeping the video on a landing page makes it easier for viewers to share it on social media. It also encourages people to link to content on your domain, which is good for SEO. So should you use embedded video in your marketing emails or not? I would say no, at least not until more email clients are ready to support it. But just because you can’t embed videos doesn’t mean you can’t use them at all. When subscribers hit play, they’ll be taken to a landing page where your video is hosted. If you set the video on your landing page to autoplay, then your subscribers won’t have to click twice to get it to play (once on the GIF and once on the video). However, autoplay videos can annoy some people, so be careful if you’re drawing visitors to the landing page from other sources. Sign up for a free trial of Sendlane™ today to start using videos with your marketing emails. What do you think is the best way to use videos in your marketing emails? Tell me in the comments! Also, if you found this post helpful, chances are your friends will too! Please share it on Facebook and your other social networks. Thanks! #DIGITAL: Should You Embed Videos in Your Marketing Emails?